Located on the northwest of Chania, in a distance of almost 40km from exciting Chania, Kasteli or Kissamos with its attractive little harbor, an astonishing variety of all kinds of shops, traditional cafes and original Greek taverns mostly along the seafront will give you the best holidays of your life. It's not only the lively atmosphere and the genuine smile of the locals but it's also the way you are treated as a traveler! The local hospitality will amaze you and you will feel like home away from home which is the best thing ever when travelling in Greece. Feel the Cretan hospitality taking over you in a place that is busy and will offer you everything you can think of. On your arrival in Kissamos, the endless beach of grey sand will catch your attention with its rocky side coast to the west. A place with great historical importance as well Kasteli is built on the ruins of an ancient city called Kissamos, explaining thus the double name of the village. With its crystal clear waters that are inviting you to spend your whole day on the beach enjoying the sun and your drinks with your companion, friends or family you will enjoy Kissamos more than anything. If you are interested in history and you want to learn as much as you can of the place that you visit then you will discover that Falasarna is a worth seeing archaeological site in the area, along with the magnificent sandy beach that everyone talks about. Do you wonder which are the hot spots of the area? 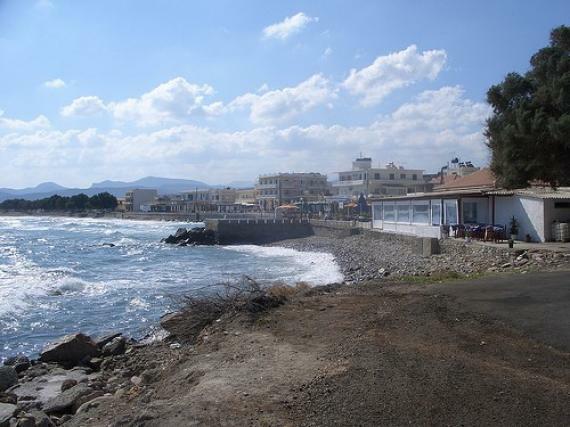 In the west part of Kissamos is the main road which is full of shops and supermarkets and is the place where you can find anything that you need. However during the busy summer months on the coast road, near Kasteli Square, you will feel that this is where you have to be. Find information about selected Hotels, apartments and rooms in Kasteli Kissamos to choose the perfect place for your accommodation.